Not long ago, if a U.S. presidential hopeful from either party was mounting a serious bid for the Oval Office, the candidate would seek a spot on the main stage at the American Israel Public Affairs Committee (AIPAC) policy conference, the largest U.S. gathering of the pro-Israel lobby. This year, it seems, not so much. While the 2019 speakers list was stacked with officials from President Donald Trump’s administration and Republican Party grandees, most major Democratic presidential candidates for 2020 were missing from the conference altogether. The three-day event, which ended Tuesday, included speeches from Vice-President Mike Pence, Secretary of State Mike Pompeo, former United Nations ambassador Nikki Haley, Senate majority leader Mitch McConnell and House minority leader Kevin McCarthy. So I am troubled that leading Democrats seem to have some difficulty plainly calling out anti-semitism within their own ranks. And I am troubled that many of the declared Democrat presidential candidates seem to be avoiding <a href=”https://twitter.com/AIPAC?ref_src=twsrc%5Etfw”>@AIPAC</a> this year. Nine of the biggest names in the race for the Democratic presidential nomination skipped the conference this year, and not one Democratic candidate was on the speakers list. Jewish Americans have long aligned themselves with liberal causes. About 75 per cent of Jews voted Democratic in the 2018 midterms. But some delegates at this year’s conference noted with dismay recent comments by freshman Democratic Rep. Ilhan Omar that they felt trafficked in stereotypes about Jewish political influence and money. Recent polling suggests there is more willingness among younger progressive voters to criticize Israel. Some AIPAC attendees who spoke with CBC News wondered whether the party has shifted too far to the left. Here’s what some of them said. “It used to be that Democrats and Republicans had to fight to get a spot on the stage,” Goldberg said. He supported Barack Obama during his two terms in office. He and his wife have been “lifelong Democrats,” and are still registered with the party. But they voted for Trump in 2016 and may do so again in 2020, unless a Democrat they consider “more centrist” decides to run. Asked about talk of an “Exodus” or “Jexodus” — a movement begun by conservatives to woo Jewish-Americans away from the Democrats to the Republicans — Goldberg gave a knowing nod. “The American Jewish community stands for social justice, and the Democratic Party has positioned itself as being the party of social justice,” Fishman said. She’s aware the eventual Democratic nominee often addresses AIPAC in an election year, as has been the case in the past three presidential election cycles, and that the upcoming election is still 19 months away. “This is an off-year,” she said. Indeed, AIPAC’s policy is to invite presidential candidates to speak only in election years. Even so, Hillary Clinton addressed AIPAC in 2016 as well as the off-year in 2015. Obama spoke there before the 2008 election, as well as in 2011 and again in the lead-up to his re-election in 2012. In 2007, a non-election year, both Clinton and Obama competed for Jewish voters, holding big events at AIPAC. Rep. Ilhan Omar’s tweets have “complicated” the public discourse for the Democratic Party, Fishman said. But she considers it to be a distraction. “There are so many conservative politicians here. It’s really concerning to me as someone who is pro-Israel, Jewish-American because it feels to me like Jewish-Americans are being used by Republicans to gain voters,” said Draisen, a self-described liberal Democrat. Draisen, a student at Boston University, supports Massachusetts senator Elizabeth Warren’s bid for the Democratic nomination, but she declined to attend the conference. Trump’s closeness with Israeli Prime Minister Benjamin Netanyahu has aroused skepticism among her Gen Z progressive friends “who see Israel and pro-Israel Americans as villains,” Draisen said. Trump wasn’t Jacobs’s first choice to be president, but she has come to see the commander-in-chief as a staunch ally of Israel. Among the actions that convinced her was the U.S. withdrawal from the Iran nuclear deal, as well as its recognition of Jerusalem as the capital of Israel by moving the embassy there. “He supports it so strongly, and [Democrats] are so anti-Trump that they’re letting it affect any other issue,” she said. Jacobs was appalled by reports that the liberal non-profit MoveOn.org had urged Democratic candidates not to attend AIPAC. “That’s absolutely horrific,” she said. She also praised Trump for his tweet last week reversing more than 50 years of U.S. foreign policy on the Golan Heights by recognizing Israeli sovereignty over the strategically important strip of rocky highlands located where the borders meet between northern Israel, southern Lebanon and Syria. 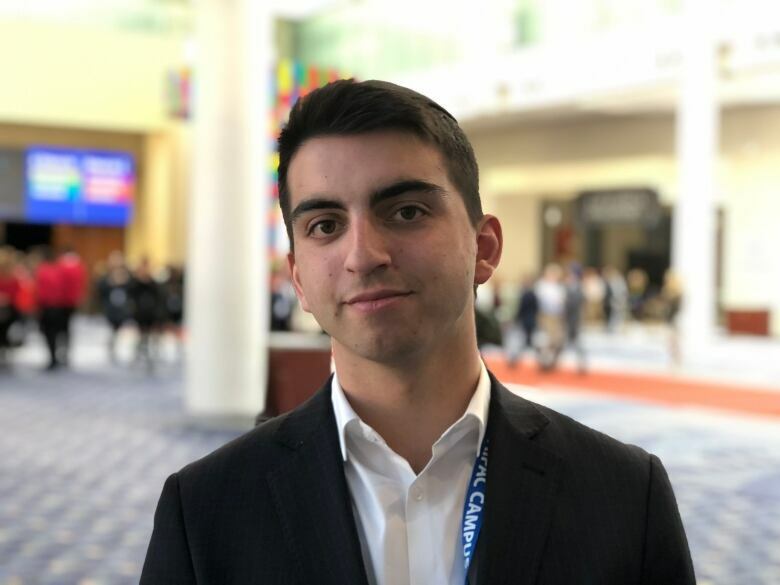 Srulowitz, a moderate, said he was receiving emails last week from a pro-Israel organization informing him about the latest Democrats to pull out of AIPAC. He comes from a Republican household that voted for Trump in 2016. The high school senior from Long Island will be 20 years old in 2020, but doesn’t see a Democratic candidate yet who would capture his vote. As “middle-of-the-roaders” who try to avoid extremes in their politics, this is a fraught time for Ira and Susan Kapinow, married retirees and strong supporters of Israel. Susan was troubled by support among at least two Democratic newcomers in Congress for the so-called BDS movement — a campaign calling for a boycott, divestment and sanctions against Israel. “I find it offensive. Israel is a strong ally and a strong friend,” Susan said. The Kapinows can’t see themselves happily voting for Trump in 2020. But when they look at the growing divide over Israel within the Democratic Party, they have concerns about how the progressive candidates are breaking with what they viewed as conventional pro-Israel policy. A liberal Democrat who voted for Clinton in 2016, Eisenberg has attended AIPAC’s annual policy conference more than 20 times. “You would like to see some presidential candidates from both sides, but we don’t have the presidential candidate from the Republican side, either,” he said. He wasn’t concerned about the lack of big-name Democratic presidential hopefuls this year, noting that top Democrats in Congress such as Senate minority leader Chuck Schumer and House Speaker Nancy Pelosi gave speeches, as well as House majority leader Steny Hoyer.